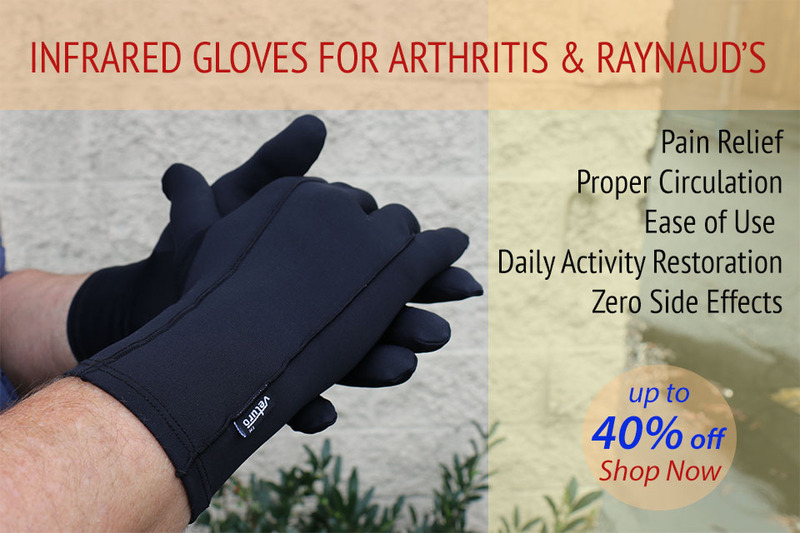 for natural pain relief from chronic Arthritic pain, Raynaud’s symptoms and other joint pain. Far Infrared gently elevates tissue temperatures to increase blood circulation. This stimulates tissue and joint regeneration for natural, safe and non-invasive remedy of arthritic pain and Raynaud’s symptoms. Breathable Bio-Ceramics fabric, lightweight knit and medium elasticity are some of the many features our therapeutic products offer. Designed for durability and slim fit comfort. Celliant® products contain a patented, natural blend of minerals which recycle the body’s own energy. The nano-size particles are encased inside every yarn so they will never wash out. They absorb and reflect light and heat and transform this energy into far-infrared light, which the body can absorb. Far-infrared light expands the capillaries, drawing more oxygen to the area where Celliant® products are worn. More information about Celliant® can be found at https://celliant.com. Dri-Release® with FreshGuard® is a patented technical blend of natural and synthetic fibers. The natural fibers absorb moisture, pulling it off the skin and into the fabric, and the synthetic fibers help the garment dry quickly. This unique blend of fibers moves moisture from the skin through the fabric and releases rapidly into the air, helping you stay dry and comfortable. Fabric made with COOLMAX® ALL SEASON technology transports moisture away from the body to keep the wearer cool and dry on hot days, while the fiber structures provide warmth on colder days, helping to optimize performance. Coolmax® is engineered for quick drying and exceptional breathability.